Without a doubt, the world is getting darker and darker. Yet, while the dangers in this world are certainly real, His promise that we can live protected and untouched can be an even greater reality. That’s why I wrote The Prayer of Protection—to show from the Word of God, especially Psalm 91, what Jesus died to give us in the area of divine protection. Psalm 91 has just sixteen verses, but it’s loaded with potent promises that we can stand upon to find comfort and safety in these dangerous times. In times where what’s reported in our newsfeeds fuels more and more fear, God wants us free from fear. That’s why I believe The Prayer of Protection is such a relevant and important book for our times. It will help us live fearlessly and confidently despite the growing dangers and threats. Imagine living without the fear of terrorism, of Zika or Ebola, of disasters, or accidents. This can be our reality today. This is the hope we have in Christ Jesus our Lord—that we in Christ will get brighter, even as the world gets darker, as His glory rises upon us to deliver, protect, and bless us. Now more than ever, we need to really know and lay hold of God’s powerful promise of protection over us. We need to understand from His Word how to walk in His 24/7 covering that keeps us safe from from dangers, threats, and snares ever present in our world. Psalm 91 promises that he who dwells in the secret place of the Most High shall abide under the shadow of the Almighty, where no harm can touch him. In The Prayer of Protection, I talk about what this secret place is and how easy it is to dwell there. You won’t find ten steps or some difficult formula to achieving the Lord’s protection. You’ll understand how divine protection comes simply through believing His promises and having an intimate relationship with Him. You cannot be under the shadow of His wings when you are far from Him. On the other hand, when you are close to Him, He becomes your refuge, your fortress and safe hiding place. He’ll put you at the right place at the right time, and lead you to walk in wisdom and stay out of trouble. I believe God wants us to draw near to Him in these last days because protection is not something we can take for granted, and He wants us to live in faith, peace, and confidence as we experience His all-encompassing protection on a practical and daily basis. How can I live without fear? How do I believe God for protection for me and my loved ones? This is a book for the mother who is worried for her child at school, for the executive fearful of boarding the plane for his business trip, and for anyone who has received a bad report from the doctor and is fearful about the future. It’s for those who need to hear that a loving God wants to protect them and their loved ones, and discover how they can lay hold of all His promises of protection that are in His Word. 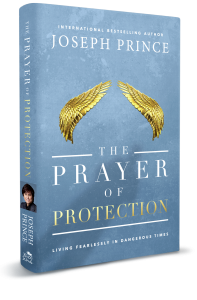 It’s my prayer that as you get hold of this book, you’ll receive a life-transforming revelation of your loving Savior’s desire to protect you, experience new levels intimacy with Him, and walk in His all-encompassing protection in the days to come! 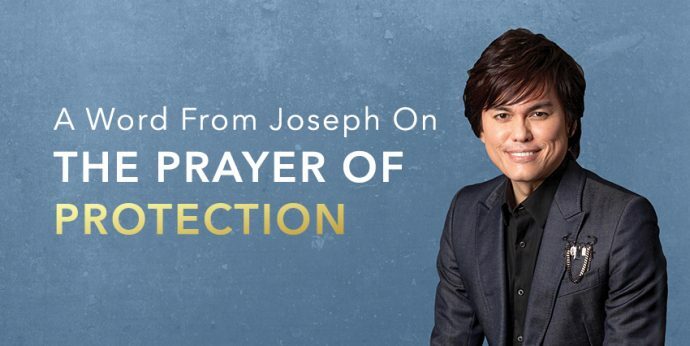 Get Joseph Prince’s new book, The Prayer of Protection. In my opinion both Christians and non-Christians are vulnerable to setbacks, like accidents. Sometimes we are responsible or partially responsible for our setbacks and at other times other people will act irresponsibly or negligently causing even our body to be greatly damaged. The good news is that God is gracious and He will accompany His children even in the most challenging situations.